Have you heard the term Reverse Mortgage popping up lately? If you’ve been looking for an extra source of income at retirement age, this could be your answer. Before you decide to go through with a reverse mortgage, you need consider the options available to you. Recent changes to reverse mortgages may affect your decision to apply for one. Here are some common questions regarding reverse mortgages to help you with your financial decision. It is a loan. Unlike a home equity loan however, it does not need to be paid back until you are no longer using the home as a primary residence. The bank makes payments to you based on your home equity value. There are obligations for the property that you must follow to receive the benefits of a reverse mortgage. 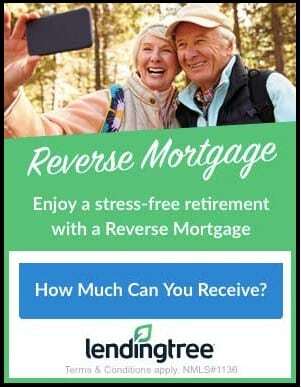 How do I get a Reverse Mortgage? To be eligible, one of the homeowners must be 62 years of age or older and own the home outright. (There can be a small balance owed, but you are required to pay it at closing with the money from the reverse mortgage). You must also be able to maintain financial obligations of the home including property taxes and insurance. All borrowers are required to receive mandatory counseling (which is free) by an independent third party. You can find approved agencies through the Department of Housing and Urban Development (HUD). Do I have to live in the home? Yes. To receive a reverse mortgage, it must be your primary residence. Changes in October 2017 affected the amount you can borrow. The amount is based on your age, the mortgage rate and the property value. Basically, the older you are and the more your home is worth would make you eligible for more money. Calculate how much you could receive here. The money is yours. You can use it how you like. It’s typically used to supplement income from retirement or to pay off major expenses. You can choose to receive the money as monthly payments, a lump sum or a line of credit. What happens if you move or pass away? If the property no longer serves as your primary residence after 12 months or you pass away, your estate must repay the loan or put the property up for sale to settle the outstanding loan. Are there cons to reverse mortgages? The lender is paying you back for your home while you live there. If you pass away or move,the loan has to be repaid. Ultimately, you must decide if a reverse mortgage is right for you. It’s best to explore all your options. You can learn about the options available to you through this form. (Note – some states require you to speak over the phone to learn more about reverse mortgage).